Is there a car that when you see it, you get a rush? It takes you back to another time and place. When they release the new model, do you find yourself grumbling that they just don’t make’em like they used to? Restoring a classic car is like preserving a little piece of history. A little piece of history that can purr like a kitten AND roar like a lion if you do it just right. That’s the kind of history lesson a lot of people can get behind, but if you don’t do it right, then all you’ve got is a heap of metal that belongs in the junkyard. The exterior of a classic car is the first thing most people notice, and a chance to express a little individuality. You can stick to the original colors that rolled out of the factory, or you can get creative with racing strips, flames, or any other inspiration that tickles your fancy. The devil is in the details and some of the most deviant details can be found under the hood and in the interior. Aside from the obvious challenges of finding the time, money, and parts required to restore your dream car, there can be a host of more insidious problems. Even if the car appears to be in good condition, an invisible stink of old moldy mustiness may persist and require replacing all of the upholstery. One detail that may go overlooked is pest prevention. Mice are happy to make their home just about anywhere. A classic car that is parked more often than it is driven can look mighty tempting to rodents. 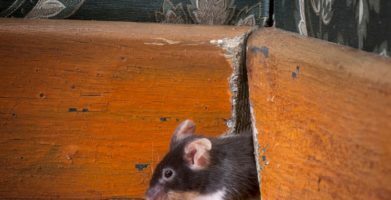 Mice will move into a vehicle, chewing up upholstery and seat cushions for their nests; leaving droppings all over the place, and even gnawing on wire and other mechanical components to file down their ever-growing teeth! Protecting your vehicle from mice before, during, and after restoration doesn’t have to be stressful. 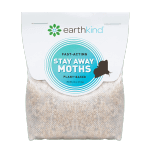 Some people swear by mothballs, dryer sheets, or peppermint oil, but those have all had inconsistent results and can leave behind toxic chemicals and an unpleasant odor. Snap traps and glue boards have also been old standbys but they only stop the unlucky mouse that gets caught, doing nothing to stop his friends and family. 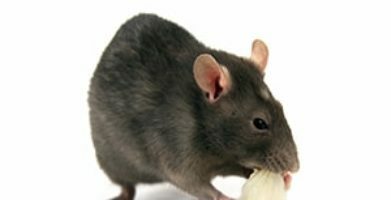 The best way to stop a rodent problem is before it begins by using a natural rodent repellent. 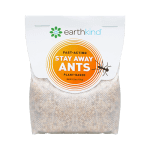 Instead of luring mice in with a baited trap or yummy looking poison, repel rodents with a fresh scent that overwhelms their little noses and sends them scurrying away before they can do any damage to your dream car. Is there a car that when you see it, you get a rush? It takes you back to another time and place. When they release the new model, do you find yourself grumbling that they just don't make'em like they used to? Restoring a classic car is like preserving a little piece of history. A little piece of history that can purr like a kitten AND roar like a lion if you do it just right. That's the kind of history lesson a lot of people can get behind, but if you don't do it right, then all you've got is a heap of metal that belongs in the junkyard. The exterior of a classic car  is the first thing most people notice, and a chance to express a little individuality. You can stick to the original colors that rolled out of the factory, or you can get creative with racing strips, flames, or any other inspiration that tickles your fancy. The devil is in the details and some of the most deviant details can be found under the hood and in the interior. Aside from the obvious challenges of finding the time, money, and parts required to restore your dream car, there can be a host of more insidious problems. Even if the car appears to be in good condition, an invisible stink of old moldy mustiness may persist and require replacing all of the upholstery. One detail that may go overlooked is pest prevention. Mice are happy to make their home just about anywhere. A classic car that is parked more often than it is driven can look mighty tempting to rodents. 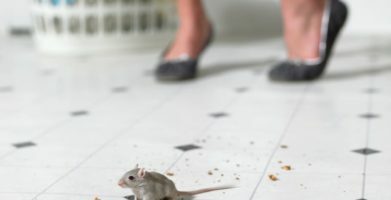 Mice will move into a vehicle, chewing up upholstery and seat cushions for their nests; leaving droppings all over the place, and even gnawing on wire and other mechanical components to file down their ever-growing teeth! Protecting your vehicle from mice before, during, and after restoration doesn't have to be stressful. Some people swear by mothballs, dryer sheets, or peppermint oil, but those have all had inconsistent results and can leave behind toxic chemicals and an unpleasant odor. Snap traps and glue boards have also been old standbys but they only stop the unlucky mouse that gets caught, doing nothing to stop his friends and family. 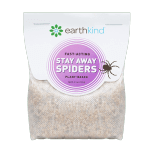 The best way to stop a rodent problem is before it begins by using a natural rodent repellent. Instead of luring mice in with a baited trap or yummy looking poison, repel rodents with a fresh scent that overwhelms their little noses and sends them scurrying away before they can do any damage to your dream car. string(41) "Keep Mice Out of Car Restoration Projects"